Charming home in highly sought-after Three Meadows. The property is adorned with gorgeous mature oaks and backs up to an open field for privacy and quiet. A massive formal dining room welcomes you as you enter the home as well as soaring ceilings and large windows throughout. There is a BONUS ROOM perfect for an office, kid's play room or a den. The spacious open kitchen/living area has a breakfast bar and sliders out to the screened-in back porch. Features also include a NEW ROOF, NEW AC, sprinkler system, walk-in master closet, new window treatments, washer & dryer, ample room for a pool and a low HOA fee of only $115 per year. Minutes from Viera, I95, US1, 15 minutes to the Beach and only 45 minutes to Orlando. 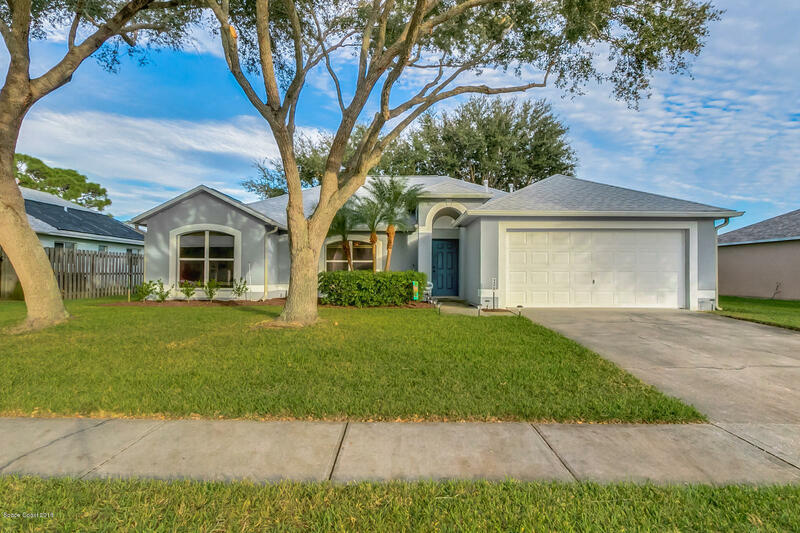 This house is waiting for a new family to call it HOME!